Rath Racing Yamaha YFZ450R hybrid ATV with ’17 KTM 450SX engine! 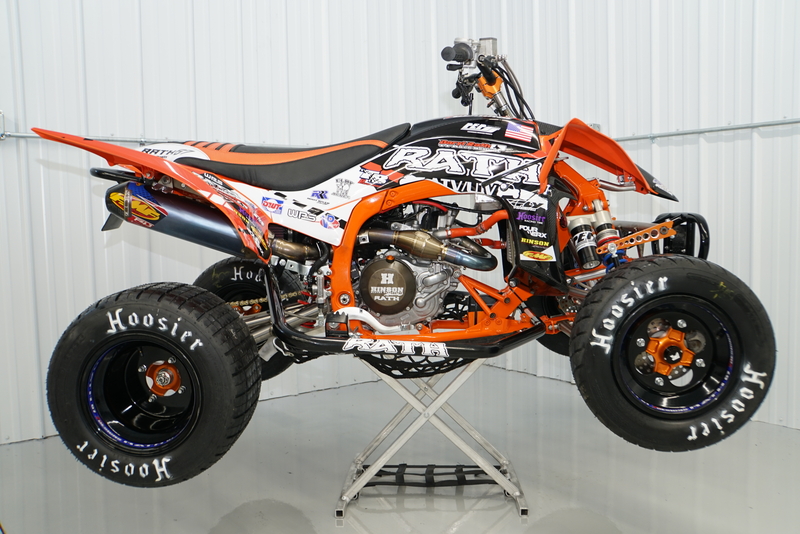 Daryl Rath, owner of Rath Racing, not only builds some of the ATV industries best parts, he’s also a professional ATV racer. His new build derived from wanting more than what the current ATV market could offer. He used a YFZR frame because of how well it can handle, then he added parts to make it very lightweight. Parts like, Rath Racing titanium a-arms, swingarm, tie rods, linkage, and also billet aluminum pieces. The heart of this machine is even more impressive. Daryl bought a 2017 KTM 450SX Factory Edition dirt bike and took the engine, fuel injection and wiring out. He then fabricated the needed parts to mount the KTM engine into the YFZR chassis. It’s built for TT racing and believe us when we say it’s one of the most powerful machines we’ve ever ridden! Check out this walk around of this beast and look for a full review on it in a future issue of Dirt Wheels Magazine! Travel through the USA in a UTV!